Mercedes-Benz is certainly no stranger to hydrogen-powered fuel cell vehicles, and it looks like the automaker is now about to show off its latest concept at the Frankfurt Motor Show. That's dubbed the F125! (apparently pronounced F one twenty FIVE), and it promises a top speed of 137 miles per hour, 0 to 62 in 4.9 seconds, and 100 kilometers on 0.79 kilograms of hydrogen (or 621 miles on a full tank). Apparently, the concept is also intended to demonstrate the design direction for 2025 CL-Class, although there's no indication as of yet that Mercedes-Benz plans to put a hydrogen-powered CL-Class into production. Hit the links below for a few more shots that have leaked out ahead of the show. Mercedes-Benz's hydrogen-powered F125! 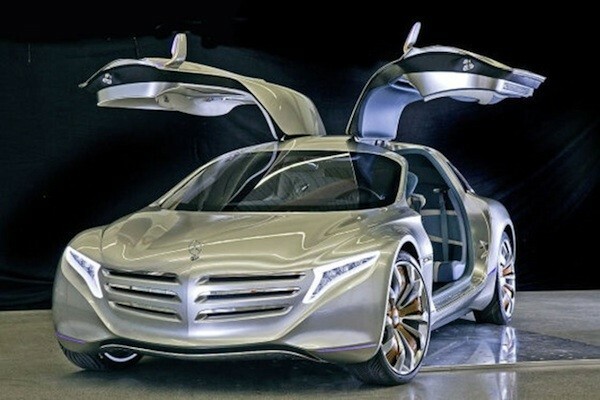 concept slips out ahead of Frankfurt originally appeared on Engadget on Mon, 12 Sep 2011 19:04:00 EDT. Please see our terms for use of feeds.